"That night" comes once again... The night of battle where the "Black Swordsman" roars. 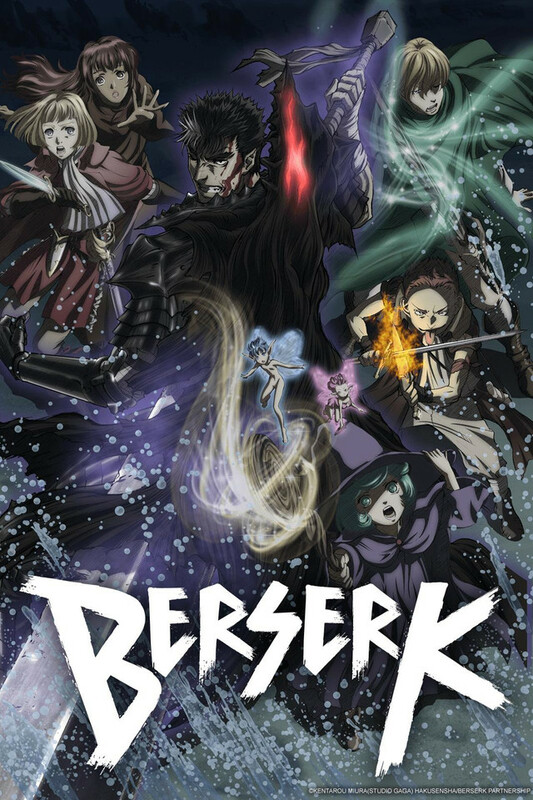 The "Berserk" manga is the pinnacle of Japanese dark fantasy and an overwhelming presence in the Japanese entertainment world. Extremely popular not only in Japan but all over the world, a new anime adaptation of the manga finally gets underway. the Black Swordsman Guts continues his seemingly endless quest for revenge. and a devout child of god. Even as it chips away at his life, Guts continues to fight his enemies, who wield repulsive and inhumane power, with nary but his body and sword—his strength as a human. What lies at the end of his travels? The answer is shrouded in the "night." Strain your eyes and stare into the dark!